Sarah Bumgarner received a MBA from Appalachian State University (84) and a BA in Economics from the University of North Carolina at Asheville (82). She has been teaching Economics, Finance and Management Courses for over 20 years. Although students and teaching have always been her primary focus, Sarah has maintained an active consulting practice in teacher training, retention strategies, and small business consulting. Prior to joining the SCC faculty in 2008, Sarah has been a full time instructor at ASU, Hood College, and 13 years at UNCA. 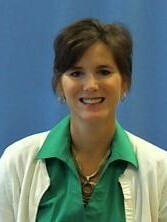 While at UNCA she received the Distinguished Teaching Award (99), Student Affairs Faculty Appreciation Award (˜97), and was recognized nationally for her student advocacy and development of the university First-Year Experience program (01) by the National Resource Center for First-Year Students. Victoria graduated from North Carolina State University in 1988 with a double major in Business Management and Economics and she is currently pursuing an MBA through UNC-Pembroke. She graduated from Georgia State College of Law in 1991 and has been an actively licensed member of the Georgia Bar since. She joined the District of Columbia Bar in 1992 and the Louisiana State Bar in 1994. 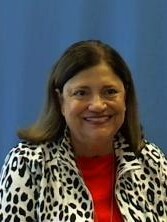 Over the years of her legal career, she has prosecuted in Fulton County, Georgias Solicitors Office; served as a staff attorney for the Christian Legal Society, a non-profit legal advocacy group; worked as a litigation consultant for Patterson Insurance Company; and worked privately as a Wills and Trust Attorney. Her most crowning achievement, though, has been moving around with her Air Force husband and raising three children. January 2016, she joined the Management and Business Technologies Department as a full-time faculty and law professor. Felita Livingston received a Bachelors of Science in Business Administration degree with a concentration in Human Resources from Strayer University in 2006. She also received a Masters of Public Administration (2009) and Master of Education Management (2011) from Strayer University. She is currently pursing her Doctor of Education in Organizational Leadership at Grand Canyon University. She has been teaching Leadership and Management, Business Math, and Human Resources courses for over ten years. January 2017, she joined the Management and Business Technologies Department as a full-time instructor. She teaches courses in Office Technology, Medical Office, and Human Resources. Felita has over 10 years of financial banking experience with Wells Fargo (formally Wachovia Bank) in Charlotte, NC. She has held various positions in the areas of Human Resources, Payroll, Risk Management, Account Services, and Corporate Communications. She also held positions in Human Resources Administration, and has taught Career Technical Education courses at Charlotte Mecklenburg Schools. Kirk Lynch received a Bachelors of Science degree in Economics from Colorado State University in 1982. At that time, he went into the corporate world with American Telephone and Telegraph (AT&T) in marketing and advanced through several marketing and product management positions over a 23 year career. While working full-time, he continued to pursue advanced studies. In 1990, he earned a Masters in Business Administration with an emphasis in Information Systems from the University of Colorado at Denver. In 1992, he earned a Masters Certificate in Project Management from George Washington University. In 1995, he earned a Master of Science in Accounting from the University of Colorado at Denver. Kirk has been teaching at Sandhills Community College since 2002. He has been a full-time instructor in the Business and Technologies department since 2003. In 2018 Kirk earned a doctorate in Adult Education and Community College Administration. He has taught courses in Information Systems, business and accounting. His main focus is introductory financial accounting, introductory managerial accounting, payroll accounting, spreadsheets for accounting (Excel), and accounting software applications (Quickbooks). Kirk was the first to bring Internet-based accounting classes to the business department and has continued to enhance the Internet-based accounting courses to provide an exceptional classroom experience. Kirk was recently commissioned by Cengage publishing to update the instructors manual for the next release of the Financial and Managerial Accounting textbooks. Jackie received her Bachelors degree in Business Management from the University of North Carolina at Wilmington. After graduating she moved to Raleigh and became the Associate Exam Director for the North Carolina Licensing Board for General Contractors where she worked for 7 years. She was then offered a position with Harrington Bank in Chapel Hill, helping to start branch operations for the new private bank and serving as Branch Manager. She worked there for 6 years before taking some time off to raise her family. Jackie relocated to the Pinehurst area where she raised her family and returned to school for Physical Therapy and then to complete her Masters in Exercise and Sports Management. She ventured into a new career as a personal trainer and co-owner of a gym. She also worked at Sandhills part-time as an accounting tutor and lab manager for three years. In January of 2014, Jackie accepted the position of Lab Coordinator and Teaching Assistant for the Management and Business Technologies Department. In 2016, Jackie completed her MBA and in 2017, Jackie was promoted to full time faculty. She teaches courses in accounting, management and hospitality management. Jackie serves as program coordinator for hospitality management. Catherine Skura was born in France and moved to the U.S. in 1991. She first lived in Brooklyn, N.Y., where she attended Brooklyn College and earned her B.A. in Economics. She then moved to Raleigh, N.C., to attend North Carolina State University and graduated with a masters degree in Economics. Catherine has been teaching Economics since 1999, first at NCSU and at Sandhills since July 2004. 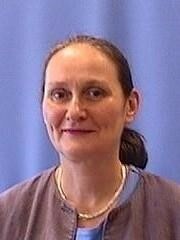 She is a professor in the Department of Management and Business Technologies and the Universities Studies Coordinator. In addition to teaching Economics, Catherine also teaches Business Math (BUS 121), Statistics for the Math Department (MAT 152), and College Transfer Success (ACA 122). Mary Speth graduated with a Bachelors of Arts in History from the University of South Carolina. After nine years in small business ownership and management, she returned to the university and earned a Masters in Business Administration and became a licensed Certified Public Accountant. She also completed 18 graduate credit hours in accounting courses. Mary worked for an accounting firm for five years, performing audits of government agencies, banks, and small businesses, as well as tax and compilation services for both business and individual clients. For the last 25 years, she has taught accounting and business and management at South Carolina State University, the University of South Carolina in Columbia, Montgomery College in Maryland, and, since 2005, Sandhills Community College. While teaching at South Carolina State University, she authored an Accounting Procedures Manual for the universitys business office. At Montgomery College in Maryland, she was chairman of the Department of Accounting, Business, Management and Paralegal Studies on the Germantown campus. She specializes in teaching financial accounting at the principles and intermediate levels, managerial and cost accounting. She was instrumental in starting the Certified Bookkeepers program at Sandhills. Nevius Toney received a Bachelors of Science in Business Administration with a concentration in Marketing from North Carolina Agricultural & Technical State University in Greensboro, N.C. She also received a Masters of Science in Administration with a concentration in Business Administration and Health Management from Central Michigan in Mt. Pleasant, Michigan. 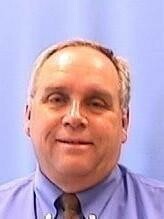 Nevius is an Instructor of the Management and Business Technologies Department at Sandhills Community College. She also is the Program Coordinator for the HIT program offered through Pitt Community College. Nevius usually teaches BUS 110, BUS 137, BUS 255, and MKT 120. She created and or edited all of the courses online that she teaches. She is a member of the distinguished 20/20 VISION committee. She has 10 years of banking experience with Wells Fargo (formally First Union National Bank) based in Charlotte, N.C. It was the fourth largest banking chain in the United States based on total deposits. She held various positions with the bank including selling mutual funds and serving as an associate in the Trust Department, consumer loan officer, and financial consultant, providing technical support for all branches in the 14-state territory. Cary Greene graduated from Appalachian State University with a bachelors degree in Interior Design in 2003.‚ After 6 years of working in the home design and construction field, the recession and housing market crash of 2008 prompted a career change.‚ In August of 2009, she accepted a full time position in the Admissions Department at Sandhills, where she currently serves as the Director of Admissions.‚ ‚ She received her Masters in Business Administration in 2014 from the University of North Carolina at Pembroke.‚ She teaches Small Business Management as a part time instructor in the Business Department. After 25 years as Instructor at Bladen Community College where she also served as Chair of the Business Technologies Department, Rebecca Jones retired in 2004 from the North Carolina Community College System. When she and her husband moved to Pinehurst, she began teaching Internet Keyboarding and Word Processing for Sandhills Community College as an Adjunct Instructor in 2005. Rebecca was one of the first Blackboard course developers in the NCCCS Virtual Learning Community and has continued to teach and develop online courses. She was a semifinalist in the NCCCS/First Union Foundation Excellence in Teaching Award in 1994. 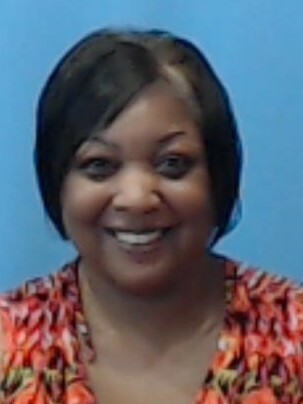 Prior to teaching in the North Carolina Community College System, Rebecca also taught seven years in the Business Department at DeKalb Community College in Atlanta, Georgia. She earned an Ed.S. degree from Georgia State University, a M.Ed. degree from University of Georgia, and a B.S. degree from Valdosta State University in Business Education. Rebecca now resides in Charlotte and has had a lifelong career as a business educator in both the classroom and online. Cathleen C. Kruska (Cathy) holds an AA degree from College of the Canyons and is a graduate of California State University, Northridge, where she earned a BA in English and MA in Speech Communication. Cathy teaches communication courses at Sandhills Community College (SCC) where she is the Lead Instructor for communication studies. She has taught English and communication courses at Ventura Community College, Pasadena City College, and College of the Canyons in California. Cathy also provides online instruction in business and human resources as well as business consulting for Richmond Community College. Cathy has been Program Coordinator for Communication and Languages at SCC and she served on the Institutional Effectiveness Team, the Service-Leadership Committee, and was a 2011 graduate of SCCs Scholars Institute. She is the Faculty FACT Coordinator (Formative Assessments for Classroom Teaching) for the Center for Teaching and Learning at SCC and has served on its advisory board for the past four years. In 2002, Cathy retired from business after holding the position of Sr. Vice President of Organizational Development for Safeguard Business Systems, Inc. where she directed the functions of Safeguard University; Human Resources; Compensation and Benefits; Payroll; Safety; and Risk Management. Throughout her business career, Cathys focus has been in franchise and corporate training and strategic planning/development where she established and/or enhanced corporate universities for clients. Larry Little received a B.S. Education from Illinois State University and a MBA from the University of Illinois. He spent 40 years in manufacturing working for Kraft Foods, Best Foods, and Unilever. He worked in a number of positions in manufacturing including operations, safety, training, human resources, and as general plant manager. He joined Sandhills Community College in 2003 and teaches a number of business courses and is a member on the entrepreneurship mentoring committee. Kathryn Thwaites received a BBA from Loyola University in Chicago, Illinois and a MA in Applied Economics from the University of North Carolina in Greensboro. She began teaching Economics at Sandhills Community College in 2010.